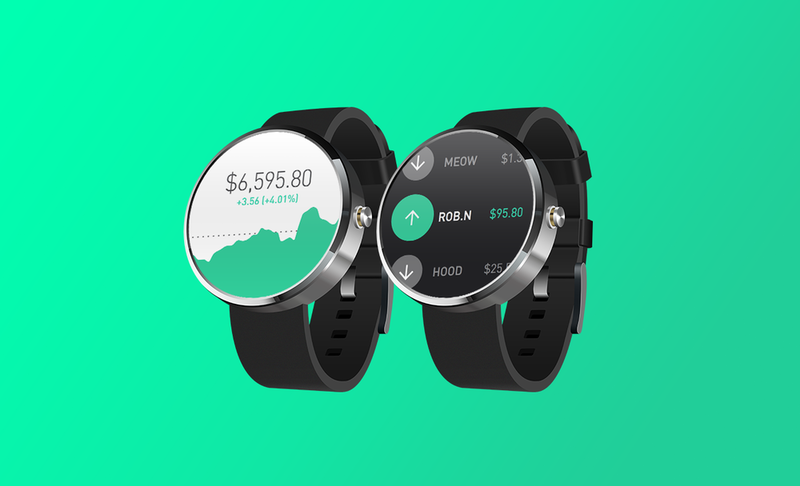 Today, we’re proud to announce Robinhood for Android Wear. This new app brings the Robinhood experience you know and love, straight to your wrist. View your portfolio performance, scroll vertically to view your entire watchlist, and tap on any stock to view your holdings. Your account and trading notifications appear on Android Wear, enabling you to seamlessly track your portfolio and market movements in real time. The app also features our signature day and night mode to reflect market hours and market moves.